Our ETDV triple duty valves are primarily required on the discharge side of a centrifugal pump in a hydronic heating or cooling system. 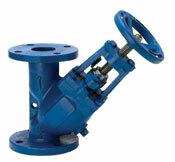 The valves functions as a shut-off valve, spring loaded silent check valve, and balancing valve. Our ETDV has an automatic and silent operation. The disc will open when the line pressure is approximately 1/4 PSI. As the line pressure approaches zero, the spring will close the disc to prevent flow reversal and water hammer. The flow through the valve can be adjusted from bubble tight shut-off to full flow by the acme rising stem. Our ETDV’s are constructed from rugged cast iron castings that are machined to exacting specifications. These bodies have drilled flanges that are in accordance with ASME B16.1. A gage glass or sight window added to our bladder tanks as a means for indicating bladder rupture in the tank. 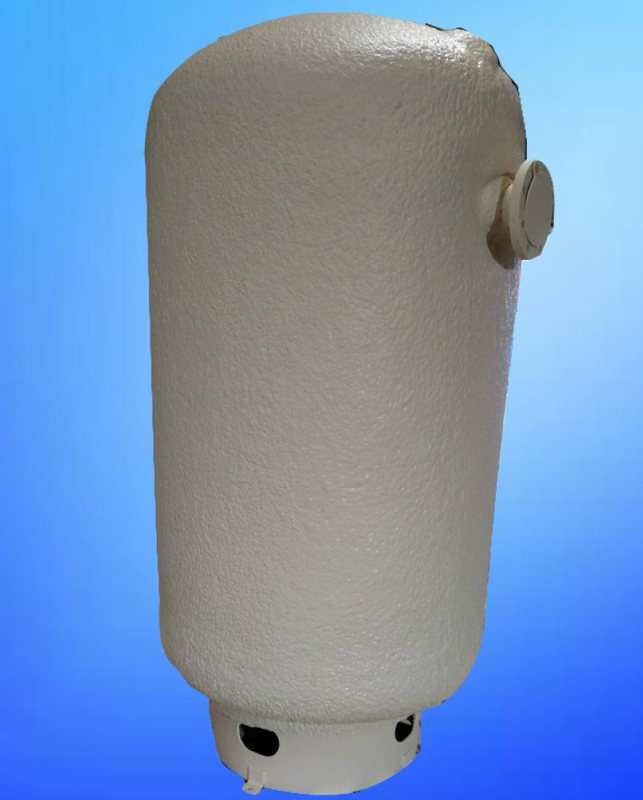 Elbi CISD suction diffusers mount to the suction side of a pump in either a horizontal or vertical position. It is designed to remove any foreign matter that may be hazardous to the pump or other system components, while providing the proper flow conditions to the pump. 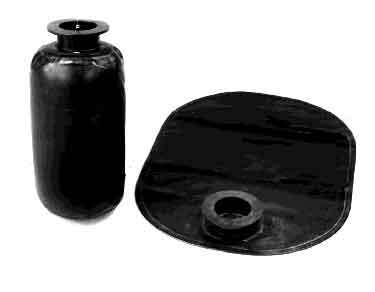 We also offer custom fabricated carbon steel suction guides with high pressure ratings and special flange connections. Spare replacement bladders for all of our ASME bladder tanks. Elbi sprayed-on rigid insulation with acrylic topcoat exceeds ASHRAE 90.1 requirements with 2” of high-density polyurethane foam with an “R” value of R-16. SPF meets requirements for California Title 24. Elbi spray foam insulation has the best fire spread rating with a class I foam with less than a 25-flame spread rating suitable for boiler room applications. The 100% acrylic topcoat is formulated for applications over spray polyurethane foam and is designed to withstand extreme weather and a full range of environmental conditions. The 2 component polyurethane foam is applied at ambient temperatures, directly to the vessel in the desired thickness. The 2-coat topcoat is then applied from a high-pressure spray gun and allowed to dry between applications. Metal jacketing is also available. Carbon steel construction. 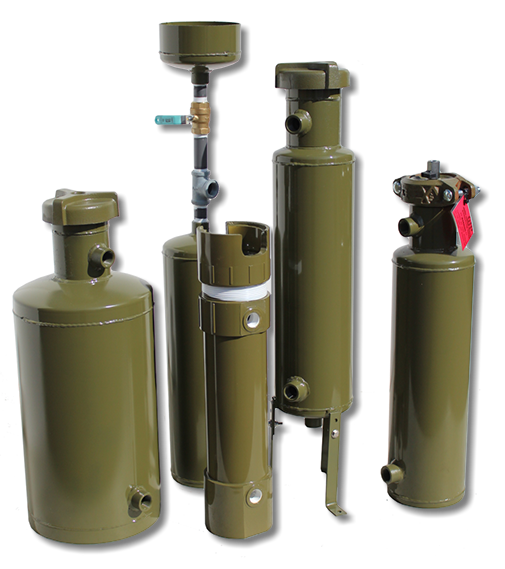 For water treatment in closed circulating water systems and boilers. It is a convenient and safe way of introducing treatment chemicals, like corrosion & scale inhibitors, into hot or chilled water circulating loops. Helps prolong life of heating and cooling systems.